I'm afraid to venture into the world of Minecraft for fear of never coming out!!! Oh My God! My four year old is addicted to this game. Amazed at how he can figure out what's going on...it baffles me. I try not to let him sit on the computer for a long time otherwise, but he is pretty creative when it comes to building things in this game so it's not so bad. 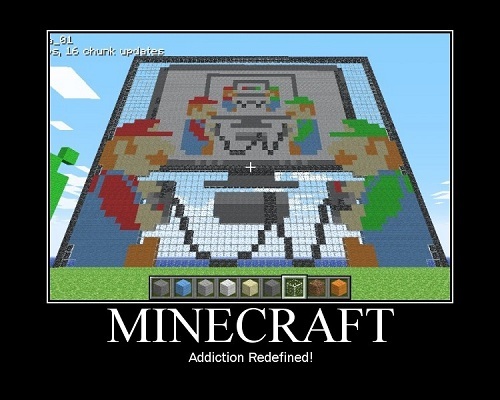 Just like any other games, once you start it you will get hooked to it! Enjoy! Wow, that pic is cool. It remidns me of the Mario Wii when they go up the elevator and you're in the sky riding on the top of the ball.